Get an inside look at an on demand hot water heater. Heating water with an on demand hot water heater eliminates the need to keep a large tank of water heated when your not using it helping to reduce your home energy bill. In this video, Larry Linkens of American Hometec shows us what is inside of a tankless hot water heater. American Hometec has tankless hot water heaters that operate on gas or electricity as well as sizes that can support your entire home or a single sink. 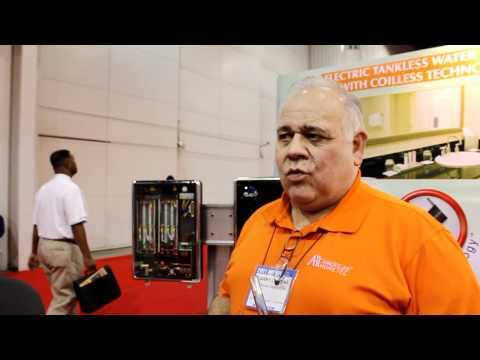 This video was filmed at the 2011 AHR Expo in Las Vegas.